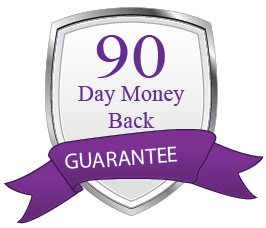 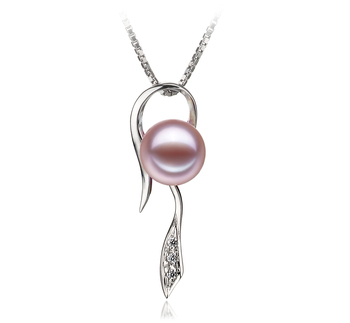 The Lavender freshwater pearl and sterling silver pendant make and graceful combination when it comes to style and class. 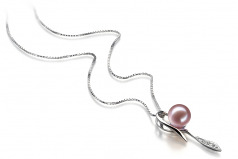 An up-to-the-minute blend of excellence, it lends a flattering hand to the Black Label Collection pendant. 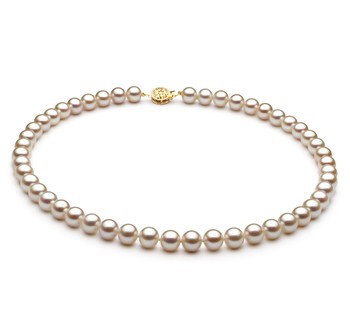 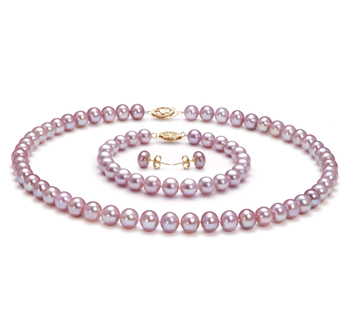 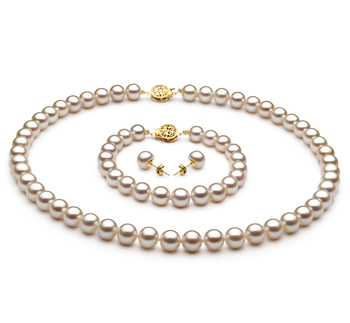 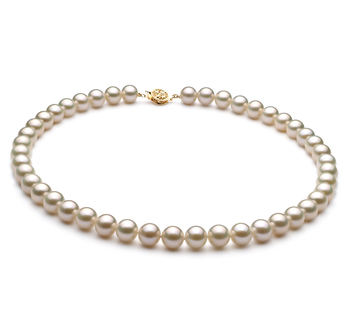 The flawless AAAA shape makes this lavender freshwater 7-8mm pearl a rare and valuable find. 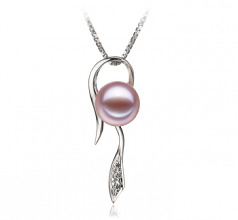 Set in the centre of its .925 sterling silver hook designed and engraved pendant, the elegant freshwater pearl illuminates the design with its impeccable AAAA lustre. The glistening and sparkling nature of the silky and smooth surface of the lavender freshwater pearl blends perfectly with the sterling silver pendant for a knock out formal or business look.